The latest marchers in the long parade of horribles anxious to murder in the name of a religion of peace are two feckless young men, Ahmed Ferhani, 26, and Mohamed Mamdouh, 20, natives of Algeria and Morocco, respectively. They were arraigned last week in New York on charges of plotting to blow up synagogues. That image— now, thankfully, confined to harmless words in court papers—conjured in my mind a similar one, of another time, another synagogue, and other hand grenades. Villagers disarmed a French patrol of UN peacekeepers Saturday and attacked them with sticks, rocks and eggs in south Lebanon, in the latest in a string of such incidents, the Lebanese army said. He is America's first (and hopefully last) 1960s' New Left president. Yesterday, I criticized Thomas Friedman for his statements on Fareed Zakaria's show. It's less important that I called Friedman "anti-Israel" but why. In short, Friedman's argument was that no matter how many times the Palestinians reject peace, Israel must make new offers. This is, of course, a negotiating strategy no sane party would ever adopt. The other party has every incentive to continue refusing offers. In recommending such a course, Friedman shows himself to be either a knave or a fool. I'm unwilling to give him the benefit of the doubt and conclude that the former is true. I know less about Fareed Zakaria than about Thomas Friedman, however he's never impressed me much. In his statement, though he shows, with two assertions that truth isn't his strong suit. Jerusalem, a mosaic of different peoples, faiths, and nationalities. Nevertheless, despite this diversity, Under the sovereignty of Israel, Jerusalem is a city that works. But has it always been this way? There is considerable anxiety these days with regard to the threats of the Palestinian Authority (and now the Arab League) to ask the UN, in September, to officially declare "Palestine" to be a state. Accompanying -- or fueling -- this anxiety is a great deal of misinformation. And so -- having consulted with legal experts here in Israel and done other research -- I will make my best effort to clarify a muddled situation. What is referred to as "international law" is not nearly as clear or definitive as many people imagine it to be. I can appreciate how eager the Obama administration must be to continue its "Muslim outreach"--especially considering the debacle of Obama's Mideast speech a week ago. Let's start with what Friedman doesn't say. Why Doesn't Amnesty International Feel Bound By International Law? To tell you the truth, I was under the impression that Amnesty International was guided in its actions by international law--at times, perhaps, by its interpretation of international law, but by international law nonetheless. So Amnesty International does not strictly work withing the accepted standards of international law? In an earlier post, Sure, World Says Israeli Settlements Are Illegal--But What Do People Who Actually Know The Law Say?, I wrote about a letter 60 international lawyers wrote to UN Secretary General Ban Ki-Moon. The following is a letter drafted jointly by lawyers of the Legal Forum for Israel and by Amb. Alan Baker, Director of the Institute for Contemporary Affairs at the Jerusalem Center for Public Affairs. The letter is directed to the Secretary-General of the United Nations, and signed by jurists and international lawyers from around the world. The letter cautions the Secretary General as to the inherent illegality and harm to the UN and to the Middle East peace process which would be caused by the adoption of a resolution declaring a Palestinian state and determining its borders. 1st Avenue & 44th St.
We, the undersigned, attorneys from across the world who are involved in general matters of international law, as well as being closely concerned with the Israeli-Palestinian dispute, appeal to you to use your influence and authority among the member states of the UN, with a view to preventing the adoption of the resolution that the Palestinian delegation intends to table at the forthcoming session of the General Assembly, to recognize a Palestinian state "within the 1967 borders." By all standards and criteria, such a resolution, if adopted, would be in stark violation of all the agreements between Israel and the Palestinians, as well as contravening UN Security Council Resolutions 242 (1967) and 338 (1973) and those other resolutions based thereon. Why Can't Hamas And Fatah Just Get Along? Looks like there is still no love lost as Hamas accuses Fatah of hatching "a plot to materialize the wishes and aspirations of the US and the Zionist regime"
A senior leader of the Palestinian Islamic Resistance Movement, Hamas, lambasted the Fatah movement for pursuing the failed experiences of the past which created a wide gap among the different Palestinian groups. "The Fatah movement has opted for deception and intrigues after signing the national reconciliation agreement and seeks to bypass the Constitution," Younus al-Astal told FNA on Sunday. He criticized Fatah's proposal for the members of the government to take their oath before the Head of the Palestinian Authority (PA), Mahmoud Abbas, instead of the parliament, and said this means that Fatah is still moving on the same old wrong way. Hamas and Fatah--why can't Palestinian terrorists just get along? But at least Obama got his answer. At AIPAC, Obama said it was up to Hamas to answer the question how Israel could negotiate with a group that does not recognize its right to exist. Egypt is expelling an Iranian diplomat who was briefly detained and questioned on charges of illegally gathering intelligence for Tehran, security officials said. Qassem al Husseini, the diplomat, was arrested on Saturday in his Cairo home, after the Egyptian intelligence tracked his movements, Al Jazeera's Ayman Mohyeldin reported. Husseini was charged with attempting to set up spy rings in Egypt and other Arab countries. He was released after a two-hour detention, Haydar Moslehi, Iran's intelligence minister, said on Sunday, according to Iranian state television's website. Moslehi also said that Egyptian authorities apologised for the incident - though he did not elaborate. Since Egypt went ahead with the expulsion and Iran is not explaining, it's unlikely the whole thing was just one big misunderstanding. Hope Egypt enjoys their new friends. It is with great gratitude to Hashem that I write that he is healthy, very alert, and beautiful, and that my daughter-in-law came through exceedingly well. While I was tending to other matters, a great deal was going on in the larger world. I do not wish to belabor the obvious, and yet, before turning to matters current, I would like to take a look at what has transpired in the last nine days -- with a few commentaries added for good measure. ..."We are standing today at the threshold of national unity, we hope that national interests will overcome personal and factional interests Ash-Sheqaqi said in a statement. Has anyone noticed that the "national", personal, and factional interests of these Arabs are all the same: the destruction of Israel? Everything the Palestinians are today derives from that hatred/envy of Israel--yet they still can't get along with each other. William Kristol: "Harbingers Of Success"
Could The New Open Border Between Egypt And Gaza Work Towards Israel's Benefit? Secretary-General Ban Ki-moon has voiced his concern about potential flotillas to Gaza, and written to Governments of countries around the Mediterranean Sea asking them to discourage their use to deliver assistance to the territory. There are those who like to apply the anti-drunk driving catch phrase, “Friends don’t let friends drive drunk,” in reference to the American-Israeli relationship. They argue that Israelis and potentially the Palestinians as well are too drunk, too intoxicated, too out of it, to understand what is going on and therefore need to be helped. The argument is that someone else, someone sober, needs to help them because they can’t help themselves. Sure, World Says Israeli Settlements Are Illegal--But What Do People Who Actually Know The Law Say? I don't know, but how common is it for 60 lawyers to agree on somthing? An international group of some 60 attorneys, including former Foreign Ministry legal adviser Alan Baker, has appealed to United Nations Secretary General Ban Ki-moon to prevent a General Assembly resolution on unilateral Palestinian statehood, based on the pre-1967 lines. Luxury Cars Coming To Gaza! Luxury cars with Libyan plates are becoming a common sight in the Gaza Strip, a surprising side-effect of the unrest in the north African country. Showroom owner Amin said he paid taxes on each car to Gaza’s Hamas government and the tunnel smugglers, and that there were now “dozens” of vehicles coming in from Libya every week. Customers tended to want 2011 and 2012 Hyundai Sonatas, Kia and Hyundai SUVs, BMWs and 4-wheel-drive Toyotas, he said. Abbas Claims Seeking Unity Government That Recognizes Israel. Baloney. President Mahmoud Abbas will seek to form a government of technocrats by mid-June which will accept the demands of the Quartet, including recognition of Israel, Israeli media reported Thursday. Israeli People and Experts: We Support Netanyahu and Don’t Want to Return to 1967 Borders. Friday mornings mean that it's time for your weekly Latma fix. Technorati Tag: Israel and Latma. I hope the test is true and false. Actually, that's what the test has been so far, hasn't it? U.N. Security Council Resolution 242 of Nov. 22, 1967, concluded the war of that year and has been widely acknowledged by all parties to be the basis for a peace agreement. Its key phrases are, “Emphasizing the inadmissibility of the acquisition of territory by war,” and “Withdrawal of Israeli armed forces from territories occupied in the recent conflict.” These included the West Bank, Gaza and East Jerusalem, plus lands belonging to Lebanon, Egypt and Syria. Other than the problem of his obfuscation and equating 242 with the Arab peace initiative which demands Israeli withdrawal from all territories; there's one geographic area here that doesn't belong. Q: Do you agree with the comparison between Hamas and al-Qaida? OBAMA: I believe that Hamas, in its own description of its agenda, has not renounced violence and has not recognized the state of Israel. And until they do, it is very difficult to expect Israelis to have a serious conversation, because ultimately they have to have confidence that a Palestinian state is one that is going to stick to its — to whatever bargain is struck; that if they make territorial compromises, if they arrive at a peace deal, that, in fact, that will mean the safety and security of the Jewish people and of Israel. And Hamas has not shown any willingness to make the kinds of concessions that Fatah has, and it's going to be very difficult for us to get a Palestinian partner on the other side of the table that is not observing the basic Quartet principles that we both believe — that both David and I believe in — the need to renounce violence, recognize the state of Israel, abide by previous agreements. When It Comes To Israel, What Are Democrats To Do With Obama? "No one should set premature parameters about borders, about building or about anything else," Reid added, bringing the audience to its feet for the first time during the speech. Democrats are loath to admit the president doesn’t know what he is doing, so they are left trying to convince themselves and others that this is a fuss about nothing. The most honest defense I heard from a pro-Israel Democratic staffer was to acknowledge that Obama had made mincemeat out of the “peace process” but to remind me that talks aren’t going anywhere anyway. In essence, “no harm, no foul” and look at all the hardware and military support we’ve given Israel! RUSH: What is it that makes Netanyahu Netanyahu? CALLER: He's principled, he's proud, he's conservative. He's everything he portrays himself to be. RUSH: It is passion that allows Netanyahu to animate those principles, to bring them to life. At a time when the world still seems to be convinced that the Middle East is going through an Arab Spring--including Obama, as he made a point of explaining in his Middle East speech--there appears to be a bit of an incongruity. While all over the Middle East the people are rising up against corrupt, repressive regimes in an effort to replace them with democracy--the Palestinian Arabs see the two corrupt repressive regimes of Hamas and Fatah consolidated. For all the talk of an Arab Spring, the Palestinian Arabs appear to have no share in this. I am a retired law enforcement officer and former Deputy U.S. Marshal with a strong faith in God and Country. I have traveled the world as a security and anti-terrorism specialist. The Palestinian boy he is referring to is Husam Abdo. I blogged last year about Hezbollah's illegal drug trafficking--not only in South American, but also in Mexico. But then it gets interesting: Bronner is not basing his opinion on an actual poll. Conservative commentator Monica Crowley, however, said she has generally heard from comedians that they find little fun in Obama. She can’t wait to see how things will work out once Obama moves into the White House, she added. Remember when there was actually a discussion that comedians would not find anything about Obama to make fun of...? Obama vs Netanyahu is only one of the latest episodes to provide comedians with an opportunity to poke fun at the President. Israeli PM calls for “just solution” to end the conflict. Aboard Air Force Aleph (Reuters) – Speaking to reporters accompanying Israeli Prime Minister Benjamin Netanyahu on his long flight to the United States tonight, Netanyahu spoke of the injustice and hardship Mexicans have endured since American forces annexed Texas in 1845. “Tens of thousands of ordinary Mexicans were driven out of their homes – the only homes they had known for centuries - and forced to live in poverty and squalor south of the border imposed by American aggression,” Netanyahu said. “The Israeli and Mexican people agree on this: This festering wound will never heal until America takes bold steps to return to the internationally accepted lines of 1845. Clearly the settlement activity that’s taken place occupied Mexico since then is illegal. When I meet the President tomorrow I will tell him to halt all building activity in Texas immediately. Two lands for two peoples, yes, but not on land taken by force from Mexico,” the Prime Minister said. Be On The Lookout For Intellectual Terrorism! At least that is what the Israel/Palestine Center for Research and Information (IPCRI) seems to think. Not enough of you took this seriously. I know that I ask a lot. I know that you receive many requests from me. I know it is easy to ignore and that we are all asked all the time to support important projects. The financial situation for the entire peace community in Israel and Palestine is become increasingly difficult. Traditional supporters such as European governments and Foundations are being frightened away from funding these activities because of the aggressive work of groups like Im Tirtzu which try to intimidate organizations such as the New Israel Fund and its supporters, and from the intellectual terrorism of the NGO Monitor which frightens donors to shy away and even completely cease the funding of Israeli and Palestinian peace and human rights NGOs. What bothers me the most about Friedman is his absolute inability to write about the reality of the situation. He ignores the facts when they contradict his shiny worldview, using them only as instruments to bash Israelis who don’t agree with him. GOP activists are confident that they’ll gain additional votes and donations from the Jewish community following President Barack Obama’s call for Israel to retreat to territory along its pre-1967 border, with “mutually agreed swaps” in any final peace settlement with Palestinian Arabs. President Barrack Obama used his London press conference today to rewrite his politically damaging speeches on the Arab-Israeli stand-off by raising his emphasis on the need for Arabs to recognize the legitimacy of Israel’s existence. The Swiss have been busy. Besides Switzerland withholding funds from a pro-Palestinian NGO, they have also targeted Iran as well. The Swiss daily NZZ has reported that the international airport in Geneva is refusing to refuel Iran Air flights. The Swiss government froze its funding stream for a pro-Palestinian NGO because an anti-Semitic cartoon appeared on its website, according to a report in the Swiss daily Tages-Anzeiger on Wednesday. Hopefully, Obama Administration Knows More About The 1967 Lines Than About "Jewish Right Of Return"
On May 20, one day after Obama's Middle East speech, there was a conference call with Jewish community leaders. In FACT CHECK: Netanyahu speech ignores rival claims, the Associated Press gives the floor to Josef Federman to give what he alternatively claims is simply the Arab view or a refutation of Netanyahus's statements. Israeli Prime Minister Benjamin Netanyahu gave an impassioned defense of his approach to peace during a speech to Congress on Tuesday. But the address reflected the world view of Israel's nationalistic right wing, one of several conflicting narratives that divide Israelis and Palestinians. Here is a sampling of Netanyahu's claims along with what he did not mention. We need a terrorist state. Where the politicians are terrorists, the police are terrorists and even the men sitting at the desk when you come in to drop off a form are terrorists. There are states that support terrorists, and give safe harbor to them, but that's not good enough. We don't want another Pakistan or Iran. We're not half-assing it this time. What we want is the genuine article. Terrorists from the top down. Terrorists everywhere. A state where every branch of government and the entire country is nothing but terrorists. I wrote at the time that Reid was basically making it politically acceptable to break with Obama on Israel, especially in terms of what Obama said in his Mideast speech about the 1967 lines. Demonstrating that he is completely impervious to anything that challenges his way of thinking, Thomas Friedman writes in "Lessons from Tahrir Square"
Being back in Cairo reminds me that there are two parties in this region that have been untouched by the Arab Spring: the Israelis and the Palestinians. Too bad, because when it comes to ossified, unimaginative, oxygen-deprived governments, the Israelis and Palestinians are right up there with pre-revolutionary Egypt and Tunisia. I mean, is there anything less relevant than the prime minister of Israel going to the U.S. Congress for applause and the leader of the Palestinians going to the U.N. — instead of to each other? Obama Has Become More Like Bush--Could He Please Become More Like Netanyahu Too? Lion: Courage! What makes a king out of a slave? Courage! What makes the flag on the mast to wave? Courage! What makes the elephant charge his tusk in the misty mist, or the dusky dusk? What makes the muskrat guard his musk? Courage! What makes the sphinx the seventh wonder? Courage! What makes the dawn come up like thunder? Courage! What makes the Hottentot so hot? What puts the "ape" in apricot? What have they got that I ain't got? 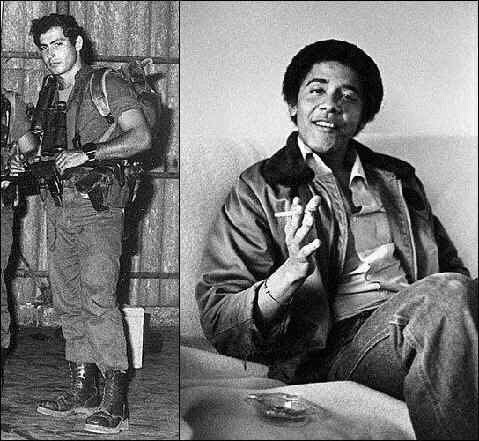 That came to mind when considering what the difference is between Netanyahu and Obama. Not courage per se, but perhaps the courage of one's convictions...or just the convictions. So what did Obama mean when he spoke about those 1967 lines? The Prime Minister and the Secretary agreed on the importance of continuing direct negotiations to achieve our goals. The Secretary reiterated that "the United States believes that through good-faith negotiations, the parties can mutually agree on an outcome which ends the conflict and reconciles the Palestinian goal of an independent and viable state, based on the 1967 lines, with agreed swaps, and the Israeli goal of a Jewish state with secure and recognized borders that reflect subsequent developments and meet Israeli security requirements." Expressing support for the State of Israel's right to defend Israeli sovereignty, to protect the lives and safety of the Israeli people, and to use all means necessary to confront and eliminate nuclear threats posed by the Islamic Republic of Iran, including the use of military force if no other peaceful solution can be found within reasonable time to protect against such an immediate and existential threat to the State of Israel. The Resolution was apparently first unveiled late last week before being introduced just yesterday by Texas Republican Louie Gohmert with 44 co-sponsors, all Republicans. Palestinian movements Fatah and Hamas said they appreciated the support of Russia in their efforts to reach national reconciliation and establish a Palestinian state. And now doubt it will continue to stay a secret. While the vast majority of ex-pats living here genuinely believe in the cause of liberation, it is far from the only reason for our mass invasion. Since the International Solidarity Movement was established in 2001, over 200 NGOs have sprung up in the West Bank and Gaza. Over 200 NGOs have been established in the West Bank and Gaza. Those numbers are no doubt an indication of the harsh life that Arabs experience on a day-to-day basis in the territories. This article by Anne Bayefsky appears today on Fox News. There is some logic in the fact that President Obama has fled the country while Israel’s Prime Minister Netanyahu addresses Congress. With Obama’s comments this past week on Israel, the president now appears to many as the most hostile sitting president in the history of the Jewish state. The State Department is a fitting venue to mark a new chapter in American diplomacy. For six months, we have witnessed an extraordinary change taking place in the Middle East and North Africa. Square by square, town by town, country by country, the people have risen up to demand their basic human rights. Two leaders have stepped aside. More may follow. And though these countries may be a great distance from our shores, we know that our own future is bound to this region by the forces of economics and security, by history and by faith.Today, I want to talk about this change -- the forces that are driving it and how we can respond in a way that advances our values and strengthens our security. Let's take a look at a (not entirely) random sampling of recent headlines. Looks Like Netanyahu Pulled It Off! Prime Minister Binyamin Netanyahu has received an invitation to address the U.S. Congress five weeks from now. He insists that despite international pressure for yet more concessions to the Palestinian Authority, he will, in his speech, "stand firm against those who try to dictate conditions that will leave us without security and without peace." That was then--but now it looks that Netanyahu pulled it off--no concessions. From the beginning of his visit to the end: Netanyahu stood firm. I've been looking for a transcript of Netanyahu's speech to Congress, but have not found it yet. I did, however, find the following. What Will Prime Minister Netanyahu Say to the US Congress? Note: This speech was actually written by MK Yaakov Katz (“Ketsaleh”), head of the National Union party, given to Prime Minister Netanyahu and sent to INN for translation and posting, in the hope that Prime Minister Netanyahu will stand firm and present its message to the government of the United States. The Jewish people and the state of Israel are honored that the Prime Minister of Israel is invited to stand here before both houses of the American Congress. I wish, in the name of the Israel’s citizens, to thank you for this opportunity to talk to you. The borders of Israel and Palestine should be based on the 1967 lines with mutually agreed swaps, so that secure and recognized borders are established for both states. c.1300, "to strike, strike the hands together," possibly imitative of the sound of hitting. The sense of "exchange, barter, trade" is first recorded 1590s, possibly from the practice of slapping hands together as a sign of agreement in bargaining. Related: Swapped; swapping. The noun in this sense is attested from 1620s. Practical questions remain about the vague, theoretical peace process Obama has outlined last Thursday and at the AIPAC conference on Sunday. Not the least of the problems is how Obama can tell Israel that it must sit down and negotiate with the Palestinian Arabs, while simultaneously agreeing that Israel cannot be expected to sit down and negotiate with those who do not recognize its right to exist. That is a problem of logic--and politics. Following Obama's Middle East speech on Thursday, and even after his qualifications at AIPAC on Sunday, there are still problems and inconsistencies in what Obama has been saying. The backlash after Obama's keynote speech on the Middle East has Democratic Party operatives scrambling to mollify the Jewish community as the president prepares to seek a second term in the White House. If Netanyahu's comments on Friday were a problem for Obama, what will he think about the comments Senate Majority Leader Harry Reid made Monday at AIPAC, where he openly broke with Obama who said that negotiations between Israel and the Arabs must start with the 1967 lines. 1) The damage Bibi is doing? Whenever you take on the President of the United States, you are taking on a risk. The President is the most powerful man in the world and rubbing him the wrong way can be your undoing. In the case of PM Netanyahu, the question is whether his challenge to the President was wise. And this isn't just because of the political damage he could incur personally, but because of the diplomatic damage Israel could suffer as a result. he 1920 San Remo resolution addresses the fundamental issue of Israel's right to the land. The following is a video of the conference last year in San Remo marking the 90th anniversary of the San Remo Conference--where the world powers transferred exclusive legal rights to the Land of Israel to the Jewish people. Encounter Books recently published Italian journalist Giulio Meotti’s gut wrenching book A New Shoah: The Untold Story of Israel’s Victims of Terrorism . At first glance I thought his title might be over-the-top. Orders of magnitude more people were murdered in the Shoah—the Nazi Holocaust—than by terrorists in Israel, but that isn’t the point. What Israel’s victims of terrorism have in common with the victims of the Nazi genocide is that they were Jews who were murdered for being Jews. Netanyahu spoke at AIPAC on Sunday. He gave a second speech at AIPAC on Monday. Unlike Sunday's speech, where Bibi spoke at the AIPAC conference about the threat to Israel in the Middle East, here Netanyahu first spoke at length about the bond between the US and Israel, and then about peace in the Middle East. Prediction: In September, President Barack Obama’s Middle East policy blows up in his (and our) face(s). It’s totally obvious and yet no one is focusing on it. I’m not referring to the Palestinian Authority’s bid for unilateral independence at the UN. I’m referring to the Egyptian parliamentary election. Does Israel Have To Trust Abbas In Order To Negotiate With Him? "We cannot move forward until there is some confidence that the Palestinians are able to provide the security apparatus that would prevent constant attacks against Israel from taking place." Which Israeli leader said this? Obama Gets The Numbers Wrong: Palestinian Population Is Not "Growing Rapidly"
Here are the facts we all must confront. First, the number of Palestinians living west of the Jordan River is growing rapidly and fundamentally reshaping the demographic realities of both Israel and the Palestinian territories. In playing the demographic card, the first question should be: is Obama right--is he taking Palestinian censuses at face value and if so, are they accurate. The fact is, Palestinian polls are not reliable, in fact notoriously so. I remember when McCain debated Obama, the assumption was that this was McCain's opportunity to demonstrate to Americans that experience counts. It didn't work out that way--McCain did not score a knockout and if anything, Obama appeared to hold his own, occasionally simply agreeing with what McCain said. When the Republicans eventually do end up with a candidate and it comes time for the presidential debates with Obama, the Republican candidate could do worse than to follow the example of Netanyahu's remarks to Obama this past Friday. Last week on Nakba Day we saw the results of the intense social media campaign the Palestinians led on Facebook and Twitter. Pro Palestinians are using social media to recruit anti Israel activists and call on them to attack Israel's borders - these groups, profiles and causes are used to wage war on Israel's right to exist. Netanyahu Continues to Needlessly Alienate--Or Did Obama Just Think Israel Is A Pushover? In addressing Let's put aside what the tone of Netanyahu's "lecture" was. After all, no one felt insulted when Obama lectured AIPAC on what a good friend he is of Israel. A key point is what exactly Obama said in his Middle East speech on Thursday. Did Obama, in fact, denounce Hamas? But the conspiracy that I have been discussing does not concern itself with such details as this, or with any individual policy of Israel. It seeks to undermine the right of Israel to exist as an entity. And it is this that we must stand up against, as we would stand up vigorously against any movement that seriously sought to undermine the existence of our own state. In this war of words, all that is necessary for this evil conspiracy of delegitimisation to triumph is for good men to say nothing. Colonel was Commander of British Forces in Afghanistan--and completed 14 operational tours of duty around the globe. In October 2009, He he spoke at the United Nations Human Rights Council in response to the Goldstone report. Col. Kemp said that "based on my knowledge and experience, I can say this: during operation Cast Lead, the Israeli Defense Forces did more to safeguard the rights of civilians in the combat zones than any other army in the history of warfare". The Goldstone refused to hear Col. Kemp's testimony. He had an infectious sense of humour, and was always messing about and joking like one of the lads – one of his soldiers said you could hear his laugh anywhere in the base in Afghanistan – usually at someone else’s expense! He had time for everyone, and would go out of his way to help anyone he could. He made an enormous effort to get to know as many as possible of the 600 troops in his battalion. His men were always at the forefront of his mind, and although he was their commander, every man felt he could approach him and talk about absolutely everything. Although still a young man, Paul was like a father-figure to his soldiers. On patrol near Sangin, central Helmand, on the morning of the 12th of June last year both of Paul’s legs were blown off by a Taliban bomb hidden in the roof of a school. His men worked desperately – desperately – to save his life, but he died soon afterwards. With enormous personal courage, he had been leading his men from the front through an area known to be laced with explosives, putting himself in danger to protect the lives of his men, risking everything to safeguard the local people, including women and children, who had been so horrifically assaulted by the Taliban. Lieutenant Paul Mervis was a Jewish soldier. He grew up in London, and was educated at King’s College School Wimbledon. He spent a gap year in Israel, studying Hebrew. During his service in Afghanistan, His sister Hannah and brother Jack sent him a provisions parcel with matzah and dried chicken soup so that he could mark the Passover festival while on duty. Paul carried a 1936 issue Soldier’s Siddur which had previously belonged to Sergeant Dave Newman, a Jewish soldier who fought in the Battle of El Alamein in World War II. It would have been equally possible for Paul to have opted to join the Israeli Defence Forces to realise his soldierly ambitions, as do so many young British Jewish men and women. 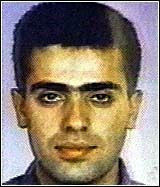 In fact he did undergo training with the IDF during his gap year before joining the British Army. But had he joined the IDF, instead of developing into a brave, dedicated military leader concerned for the welfare of his men and taking every conceivable step to protect the civilian population, would Paul Mervis have become a callous, brutal thug, haphazardly dropping white phosphorous into the houses of innocent civilians? Would Paul Mervis have deliberately and without qualms killed women and children? Would Paul Mervis have blown up schools, raked ambulances with machinegun fire? 1) What's the matter Thomas, horse got your tongue? Yesterday, Thomas Friedman had a 2/3 good column about the Syrian uprising called They shoot horses don't they? Because Syria is such a keystone nation, there is a tendency among its neighbors to hope that the Assad regime could be weakened — and therefore moderated — but not broken. Few dare trust the Syrian people to build a stable social order out of the ashes of the Assad dictatorship. Those fears may be appropriate, but none of us get a vote. Only the Syrians do, and they are voting with their feet and with their lives for the opportunity to live as citizens, with equal rights and obligations, not pawns of a mafia regime. THE HILL and ROLL CALL on Monday, May 23, 2011. Here is the video of Obama's speech today to AIPAC--in two parts. I'm including again the transcript as well. Syrians Burning Flags--Oh Wait: They're Not American Or Israeli Flags! In this first video, taken yesterday (Saturday May 20) protestors in Syria burn the Iranian, Russian and Chinese flags. This contradicts years of “expert analysis” by the Middle East editor of the BBC and others, and suggests President Bush and the neo-cons were right in their analysis that the people of Syria are less interested in opposing Israel and the United States, and more interested in gaining freedom from the regimes in Iran, Russia and China which help prop up the Assad dictatorship in Damascus. Has Obama done it again? The following video was not created in response to Obama's recent speeches, but it does serve as a graphic reminder that if Obama is serious about Israel's security needs, more than just 1967 lines with minor land swaps are required. All the talk in the world about "unprecedented" US aid to Israel is not a substitute for truly secure and defensible borders. Obama has not clearly laid out what that means. This post was written by Barry Rubin -- and is reposted here with his permission. A version of this article was published in the Jerusalem Post. I own the article and all links should be to this address. This version also has important additions so I ask that you read it here and if you forward or link please do so to this version. Only twenty percent of Obama’s Middle East speech dealt with Israel-Palestinian issues and that only at the end. Clearly, this was not the main theme. Obama had to say something on this subject and never intended for that to make all the headlines. I believe the speech was not intended to bash Israel at all. Commitment is great--but just how successful has the US been so far in accomplishing what they keep talking about--and what impression is that supposed to make, not only on Iran, but also on Hamas? Looking to see if there might be video up yet of Obama's speech to AIPAC, I came across this video that was posted yesterday. There is not much semblance to today's speech--but there are some points it makes worth keeping in mind. Good morning! Thank you, Rosy, for your very kind introduction. But even more, thank you for your many years friendship. Back in Chicago, when I was just getting started in national politics, I reached out to a lot of people for advice and counsel, and Rosy was one of the very first. When I made my first visit to Israel, after entering the Senate, Rosy – you were at my side every step of that very meaningful journey through the Holy Land. And I want to thank you for your enduring friendship, your leadership and for your warm welcome today. Obama reiterated what he said before. He did not visibly backtrack. Those who were angry before, can continue to criticize. Those who liked his Mideast speech on Thursday can say: I told you so. Israel must make the hard choices. Later, admits the hard choices are its alone. It's a well-known formula and refers to changes. Allows the parties to take realities and needs on both sides. It does however assume this is all a purely territorial conflict. Again, 1967 borders with land swaps. Obama "Hold Palestinians Accountable For Their Actions And Their Rhetoric"
Now that would be a nice change--Obama has not done this so far. Goes through the calls on Hamas to recognize Israel etc. But that has been for years. That would be reassuring that he plans to follow through and not just talk about it. How accurate is his claim on increase of Palestinian population? We know that Palestinians have exaggerated their numbers in the past. He talks about 'unprecedented' levels of aid and cooperation--including examples like Iron Dome. That's fine, to talk about maintaining Israel's qualitative edge. But policies can potentially change with each new administration--and during the last 4 years of any 8 year term. Secure borders though, last longer. Technorati Tag: AIPAC and Israel and Obama. First, here is the video of highlights from Netanyahu's speech--from Sunday. What will happen when terrorists attack Israelis in Jerusalem and return to nearby P.L.O. land? Or fire rockets from hills above Tel Aviv? The Israeli Army will have no right to enter the territory and root them out. This, believe it or not, is the "internal" responsibility of Yasir Arafat. President Barack Obama’s big Middle East speech is extraordinarily important. I think that it has been largely misinterpreted and deserves a very detailed examination. Forgive me then for analyzing it at length but that’s necessary to understand both Obama’s thinking and policy. First and foremost, this could be called Obama’s George Bush speech. The leaders of Fatah and Hamas were obliged to reconcile by the forces stirring the Palestinian street. The negotiators of Fatah had stopped negotiating, and the fighters of Hamas had stopped fighting. Both had to respond to a simple idea: if one million Egyptians can fill Tahrir Square demanding Palestinian rights, why can’t Palestinians, who taught the Arab world how to mount insurrections, and mounted two intifadas of their own. But what exactly does the Guardian think is the Palestinians contribution--the word intifada? After all, the Palestinian Arabs are certainly not the first ones in the Arab world to come up with the idea of an uprising. In 1959, the Arab League passed Resolution 1457, which states as follows: “The Arab countries will not grant citizenship to applicants of Palestinian origin in order to prevent their assimilation into the host countries.” That is a stunning resolution, which was diametrically opposed to international norms in everything pertaining to refugees in those years, particularly in that decade. The story began, of course, in 1948, when the Palestinian “nakba” occurred. It was also the beginning of every discussion on the Arab-Israeli conflict, with the blame heaped on Israel, because it expelled the refugees, turning them into miserable wretches. This lie went public through academe and the media dealing with the issue.